On this day 26 years ago, the NES was released in North America. Hours of fun and joy have been had due to this amazing innovation. Heck, it practically raised me! Video games have come a long way since the days of the NES, but I never long to play games on any other system like I long to play old NES games. Today is the fifth anniversary of the release of the glorious XBOX 360. What a great system… it brought us Halo and Mass Effect. And now we can watch Netflix movies, update our Facebooks, and tweet our Twitters. How cool is that?! Video games are more than a hobby for me. It’s a past time. I’ve been playing ever since my dad got the original NES way back in 85. I was not even 4 years old when I started playing Super Mario Brothers and Duck Hunt. Then there were games like Dig Dug and Pac Man which I can play for hours one end. So coming up with 30 games that I love was easy. Without question, probably the most replayed single game I have ever played. 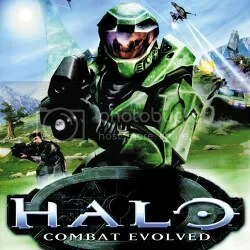 Yeah there are the Madden and NCAA Football games that I play a ton, but playtime is greatly reduced once football season ends and I end up buying the new game every year, but with Halo for almost 3 years my friends and I played this game over and over again until we were forced to get some sleep… then we played some more. So I took the title of this entry from another youth worker’s blog, More than Dodgeball. In a particular entry, he talks about the importance, especially among guys (but girls aren’t excluded), of having and playing XBOX with students. Now, you may be wondering why I randomly decided to blog about this? Last night, I had a lock in with a few students and all we did was play some Halo almost all night long, it was pretty awesome. The bonding that can take place with you have a group of people in the same room just playing a simple video game is extraordinary. there’s something about a youth worker and students sharing a living room and those tiny 1/4 screens. The comradery of a videogame moment – it has to be shared to be truly appreciated. If any of you read my blog before the major overhaul I made before last summer, then you know how much I love my XBOX and just playing video games. It’s because of things like last night. Truth be told, I rarely play my XBOX alone anymore. There is something about getting a group together and just playing that really opens people up. I love it.